The WA Brewers Association proposed that the festival be held on November 9 and 10. Councillors had some reservations when the item came up in Wednesday’s council meeting, with a couple unsure about whether it was appropriate for the event to be held during the popular Fremantle Festival, stating the timing was only a means to capitalise on the big crowds that would already be in Fremantle at that time. 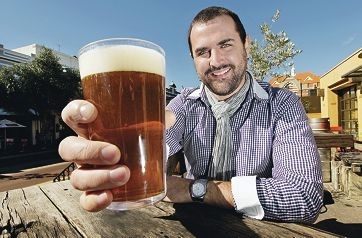 However Fremantle Mayor Brad Pettitt said he thought it linked in well with Fremantle’s pioneering history in beer. ‘I think the benefits will outweigh the cost and that it will be an interesting event,’ Dr Pettitt said. The Monk Brewery and Kitchen business operations manager Jonathan Kunz said Fremantle was already a destination for beer enthusiasts and this would capitalise on that. ‘Beer in Fremantle isn’t just a commodity, it’s a part of the culture,’ he said. The festival is one of several approved by the City recently, with the green light given to the Laneway Festival last month and the Kite Racing Oceanic Championships approved last week. Fremantle Chamber of Commerce chief executive Tim Milsom said Fremantle was already known as a festival city and those involving food and drink were becoming increasingly popular.